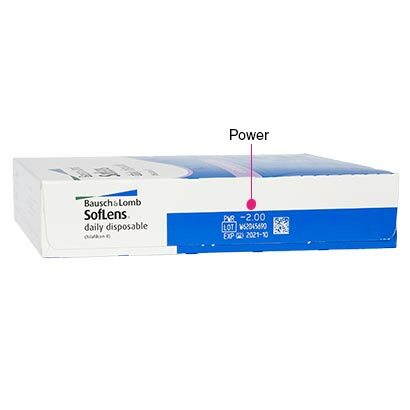 Highly convenient and built for long-lasting comfort, SofLens Daily Disposable (90 Pack) contact lenses are now available in this 90-pack edition. Enjoy an even better saving when you buy contact lenses online with this three month supply of quality daily contact lenses. 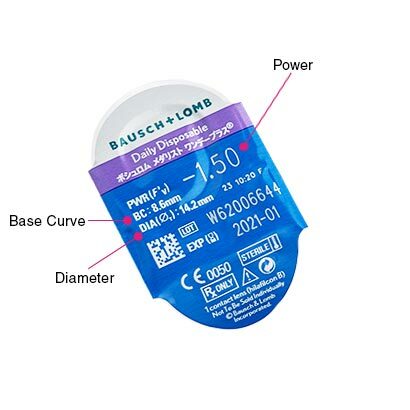 Created by renowned manufacturers Bausch & Lomb, these daily disposables have been designed using multiple technologies to deliver clear vision and a comfortable wear all day long. High Definition Optics make sure vision is sharp, with zero interruptions from halos, glares or blurring. This means that nothing will get in the way of your vision, from morning till night, when you wear these daily contact lenses. In addition, eyes will be kept hydrated all day long, standing up to the weathering effects that air conditioning, digital screen use, office environments and other factors can have on sensitive eyes. 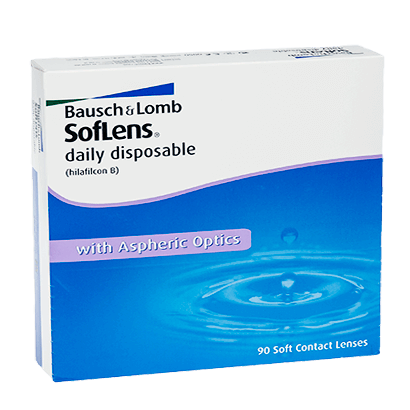 By using ComfortMoist Technology, SofLens Daily Disposable (90 Pack) contact lenses have been created with a thin and smooth surface, offering exceptional wettability by being packaged in a slow-release solution prior to use. This technology is renowned for creating a cushioning effect between the lens and the eye, ensuring day-long hydration and offering protection from dry eye, even over the longest of days. You’ll experience freedom from a contact lens cleaning routine as well as freedom from fussy glasses when you wear SofLens Daily Disposable (90 Pack). Simply apply a pair of lenses in the morning, wear them for a full day of excellent performance and comfort, then throw them away before bed and use a fresh, new set the next morning. We also stock these quality SofLens contact lenses in a smaller 30-pack edition, offering you a one month supply at FeelGoodContacts.com. Biotrue ONEday can be worn as an upgrade. Nice, comfortable lenses, which can be left in all day, handy when you work 12 hour shifts. I have been using these lenses for more than 20 years. Incredibly comfortable and easy-to-use. Comfortable, good quality - recommended! My lens renewal arrived next day as usual. Great service - Great value. Thai is always my choice! Great product, great price and free next day delivery. Very good serice, the service was very good. I tried several daily disposables before settling on these. For me, they have the best fit and comfort. I wear them for 16+ hours a day and they never dry out or become uncomfortable. They are reasonably good lenses but I do get issues with them cracking now and again. I really liked the product, lenses are comfortable and my eyes stay healthy. I would love to have a voucher code though next time. These never fail me, good for all day without drying out. Very good service, cannot fault it or the lenses. Superb! These lenses are as good as any others that I''ve used over the years (Dailies and Acuvue) and are good value. Very fast and simple ordering proceedure. Very reasonable price. Great service, the lenses came nicely packaged within two days. Very pleased overall and will use FeelGood from now on.